FDAAA 2007 is a law that requires certain clinical trials to report results. 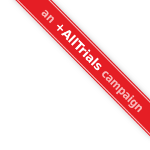 After a long wait, it effectively came into force for all trials due after January 2018. The FDA are not publicly tracking compliance. So we are, here.